It was a crime so strange that, at first, local police thought it was a prank. 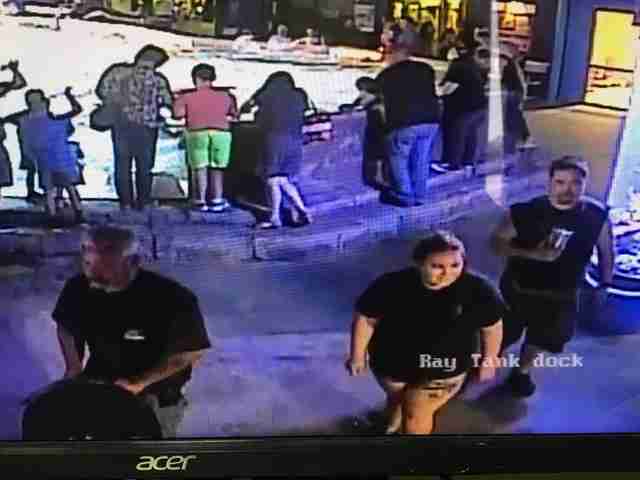 In video surveillance footage of the crime, the three suspects can be seen lingering around the shark touch tank at the right-hand side of the frame for nearly an hour until an employee nearby steps away to help a guest. That’s when they nab the 14-inch-long female horn shark straight from the water, wrap her in a wet blanket and toss her into a bucket of water sitting in the stroller. At the aquarium, the shark is known as Miss Helen. While employees were able to catch up to the thieves, they refused to allow the aquarium staff to search their car before driving off. Luckily, the staff called the police and the shark was located alive in one of the men’s homes nearby. Staffers were also able to neutralize the bleach that was dumped into the water, which could have otherwise killed many animals, including seahorses and jellyfish. When police and aquarium staff arrived at one of the suspects' homes, they discovered he had a full-fledged aquarium setup at his house. It was clear he intended to keep the shark as a pet. One of the suspects is already facing theft charges, while charges for the other two individuals are pending. Once the main suspect was identified, aquarium staff realized the same man had gained entry to their tanks a month prior, falsely posing as an employee from an aquarium salt company. After the dramatic ordeal, Miss Helen officially returned to the aquarium on Monday and doesn’t seem to be suffering any long-term health effects. She’ll be kept in quarantine for the next few days to be monitored and ensure she continues eating normally.